Building a successful email marketing campaign might seem like an easy task – at first. But when you get down to business, you may quickly realize that there is so much that goes into the process than just coming up with text, adding a few images, finding the email list and pressing send. An effective email campaign needs a more strategic approach to maximize your conversions and increase profits. If you’re yet to find a successful way to engage your prospects through email and are wondering what to do about it, you are not alone. If it’s any consolation, even the best email marketers were once in the same position as you. It takes a little learning to get there. 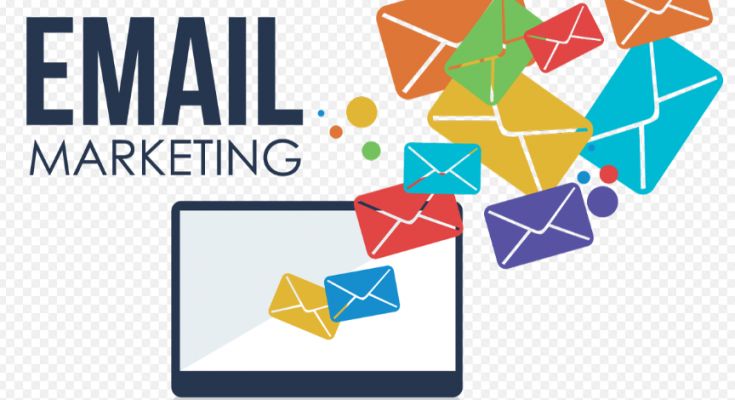 In this article, we will list the top six steps to creating the perfect email marketing campaign to help point you in the right direction. But first things first, what is an email marketing campaign? This is an email that’s sent by a businessperson (marketer) to one or more prospects or clients. A successful campaign is one that compels the recipient to engage with your business and take action, and most importantly, get more traffic and conversions. If you want your campaign to succeed, you’ll need to identify your goals first before putting any thought into action. This could be to drive traffic, drive sales, boost engagement, welcome new subscribers, re-engage existing subscribers, segment your subscribers, bring attention to a product or service and so on. There are different types of emails – promotional emails for sales and offers; transactional emails for welcome text, subscriber signup confirmations, acknowledgment for changes to subscriber information and purchase or order confirmations; and relational emails for giving subscribers what you promised – like gifts, weekly newsletters, etc. You’ll be pleased to know that most businesses start their contact list from scratch. Although it’s a bit slow at first, in the end, you’ll get more relevant leads. A few ways to collect emails including compelling content, relevant, gated assets, call-to-action, promotions for subscribing, lead magnets and so on. Understanding your audience is the best way to know how to keep them engaged. And it doesn’t have to be rocket science; if you don’t have subscriber data, you can collect the information as soon as you send the first campaign to get real data. Analyze the info using tools like Facebook Insights and Google Analytics which provide data on location, demographics, interest along with other metrics. Understanding your audience will also help with segmentation for targeting. It’s best to use professional software when doing email marketing, such as MailChimp or ActiveCampaign. When you do this, go to the campaigns page and hit the “Create Campaign” button. Based on your provider, you will have different steps between creating and sending the email. On the campaign, you’ll create the header, fill the body (stay to the point, don’t go too heavy and include too many visuals), and complete the footer. Once you have created your email and proofread it, the last step is to structure when it will get sent, and then proceed to send it. For the best experience, you may want to activate autoresponders (which help you automate the sending process), and also enable tracking to know when someone opens the email, clicks on links, as well as other metrics. Using email as a tool to reach out to prospects is not only affordable, but also highly effective. And with the new trends like typography, hyper-personalization, machine learning, gamification and so on in the market, there is no limit to what you can do. However, if you are having a hard time accomplishing successful email marketing, you may want to work with professional online marketing and copywriting agencies. Based on our experience, Tanda Copywriting is one such company, and they can definitely help you get the most from your email marketing campaign!